Pennsylvania recently passed a law stating that all PIAA coaches need to be certified in Human Kinetics' Coaching Principles by July, 2016. Using Successful Coaching, America's best-selling, most comprehensive text, the American Sport Education Program's Coaching Principles course has received national recognition. This full-day, interactive seminar will challenge you to critically examine and develop your approach to the art and science of coaching. 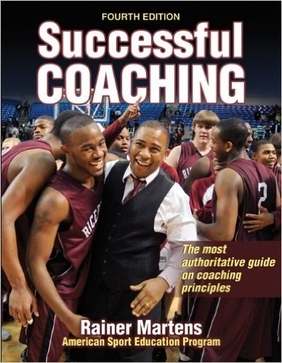 Updated, practical information and strategies will help advance your skills and lead your athletes to success! We offer the Coaching Principles and the Sport First Aid course is coming soon. School districts can request courses specifically for their own staff, or they can combine with other districts. Pricing is dependent on the location, number of participants, and course structure. Please contact us or call: 267.342.4240 for more details.